Home > Blog > Meet Your Quad Cities Christian Counselor! Meet Your Quad Cities Christian Counselor! 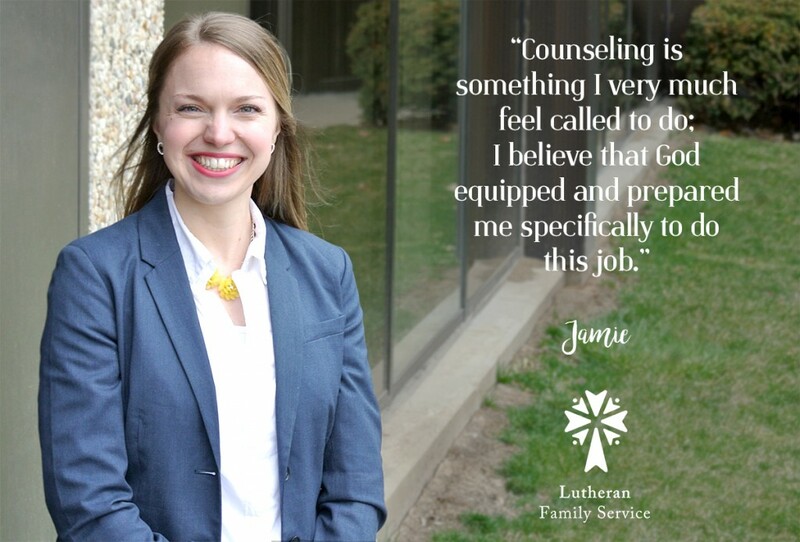 Join us in welcoming Jamie to the Lutheran Family Service ministry team! Jamie Cullen, LMHC, LCPC will be providing mental health and marriage counseling to the Quad Cities area. As a licensed counselor, Jamie specializes in helping individuals who struggle with anxiety, depression, trauma, domestic violence, sexual abuse, addictions, substance abuse and more. Other specialties include pre-marital counseling and marriage counseling.